Yoga is an ancient philosophy from India which is explained in many spiritual texts such as the Jnaneshwari and Patanjali’s Yoga Sutra. Yoga is a Sanskrit word meaning ‘union’ implying ‘Union with the All-pervading Consciousness’. Patanjali describes six paths to Yoga and Hatha Yoga – the technique of physical postures to correct imbalances – is just one of them; however this is what Yoga has often come to mean in the minds of many. Although thousands of years old, Yoga philosophy is still relevant today. Why you may ask? Well, inside each of us are the same intrinsic qualities which, when developed, bring a human being to a higher state of awareness. The direct experience of Yoga gives us a actual connection and therefore enlightened understanding of the meaning of our lives and an inner light to guide our own development. Can we experience Yoga in London? In the past, Yoga masters imposed a rigid discipline on students to help them overcome their vices, ego and conditionings; and once free from these burdens the seekers were better placed to receive their Self-realization – a state of inner stillness, heightened awareness and joy, known as Yoga. A Guru might guide a ‘Seeker of Truth’ for many years to prepare them for Jagruti– ‘awakening‘ so that the student would understand the nature of the experience;. achieving second birth, tasting enlightenment, attaining liberation, realising the True Self. This often meant cutting oneself off from the world – an approach that was never feasible for the majority of people and would preclude the attainment of Self-realisation en-masse. For this reason, it was necessary to develop a method of spreading this precious knowledge to those still in the world without diminishing the depth of the experience. Sahaja Yoga Meditation gives people the experience of Yoga in a simple and natural way, without having to renounce normal existence. On the contrary, learning to deal with daily life in a balanced and detached way becomes a vehicle for personal growth. Today it is possible to have an experience in a London Meditation Meeting in Hackney, Harrow or Hounslow as deep as in some rural retreat, say, up in the Himalayas. Yoga has always been ‘Sahaja’– ‘innate and spontaneous’; it is a gift bestowed on those who desire it. Without losing its ancient roots, Sahaja Yoga has brought this experience within the grasp of every person on the planet. Shri Mataji has the remarkable ability to awaken the spiritual energy lying dormant within each of us, giving the experience of Yoga straight away. In Her presence people have readily experienced ‘thoughtless awareness’ a state of peace and joy where the mind subsides and we become ‘pure consciousness’. Those to whom Shri Mataji gave this awakening are readily able to pass it on to others. She quietly transformed people across the world and ‘delivered the goods’ spiritually. Our Spiritual Being has a structure, a subtle system composed of Chakras – ‘Energy Wheels’ and Nadis – ‘Energy Channels’. When ‘awakened’ the Kundalini energy in the Sacrum Bone readily rises up the Central Channel in the spine, passing through each of the Chakras until it pierces the Fontanelle bone at the top of the head to connect our awareness to the All-pervading Universal Energy, giving us Self-realisation. The conditions for this to happen are simply a desire to know the truth and the presence of someone who already has this awakening; just as ‘one candle enlightens another’. Once awakened this energy works on our physical, mental, emotional and spiritual bodies to integrate them and bring us ‘into the centre’, where we can deal with everything in a balanced way and enjoy the present moment. This awakened Kundalini often manifests as a feeling of coolness on the palms of the hands or on top of the head. Sit upright for a few moments, with your hands held out palms upwards towards the photograph of Shri Mataji. The Self in question, also known as ‘the Spirit’, is the detached witness behind the mind and the senses. We can only become conscious of this if the outward flow of thoughts, desires and effort stops and we turn inward. Here is the catch because mental effort cannot achieve this. Self-realisation starts when the dormant energy Kundalini is awakened. As it rises it pulls our attention up; finally reaching the Crown Chakra at the top of the head, known as Sahasrāra – ‘the thousand-petalled Lotus’, which is beyond the mental plane. Here we experience liberation from the pressures of the past and the future, from guilt, anger and pride in a state of ‘thoughtless awareness’. It is a natural and spontaneous process which is best allowed to work out without too much striving. As long as we have the feeling that we are ‘doing something’ the mind is engaged and the ego present. So ‘letting go’ is more effective than ‘trying’ to get the experience. A Zen story tells how a Seeker asked the Master how long it would take him to get enlightenment, to which the Master replied ‘About ten years’. The student was shocked and asked how long it would take if he tried really hard and made a tremendous effort; to which the Master replied, ‘In that case, probably twenty years’. We are living in a special time when all people who sincerely want to know the truth can have this awakening effortlessly; we only need to let it happen. This knowledge has to be a living experience not just a mental concept. One of the beauties of Yoga is that, as well as being a blissful and enjoyable experience, it has the ‘side-effect’ of improving all aspects of our lives; worries and stress can reduce, relationships and health can improve, and we can feel more satisfaction and joy in our every-day life. 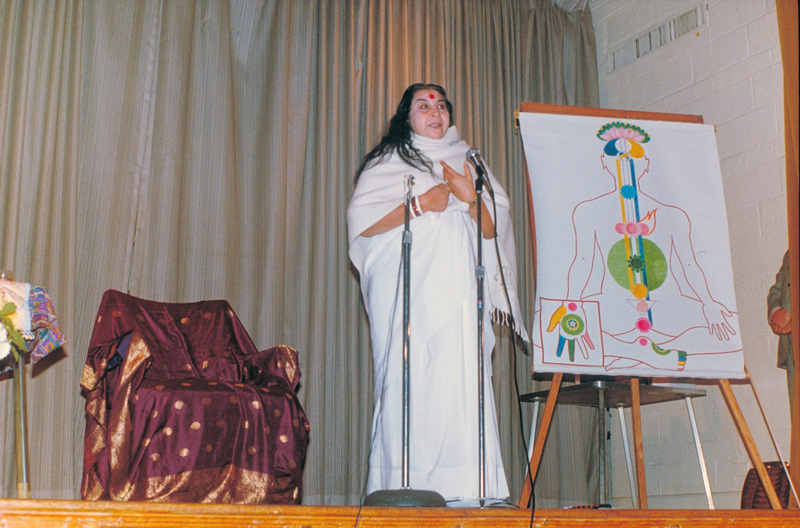 Through Sahaja Yoga one also learns to recognise the signs of being ‘out of balance’ and to employ simple techniques to correct ourselves such as meditating with the feet soaking in warm salty water. It is reassuring to know that we have the power to go from a state of being over-heated and frenetic to peaceful and serene in a matter of a few minutes. Once peace and joy become established in our lives we start to value them. 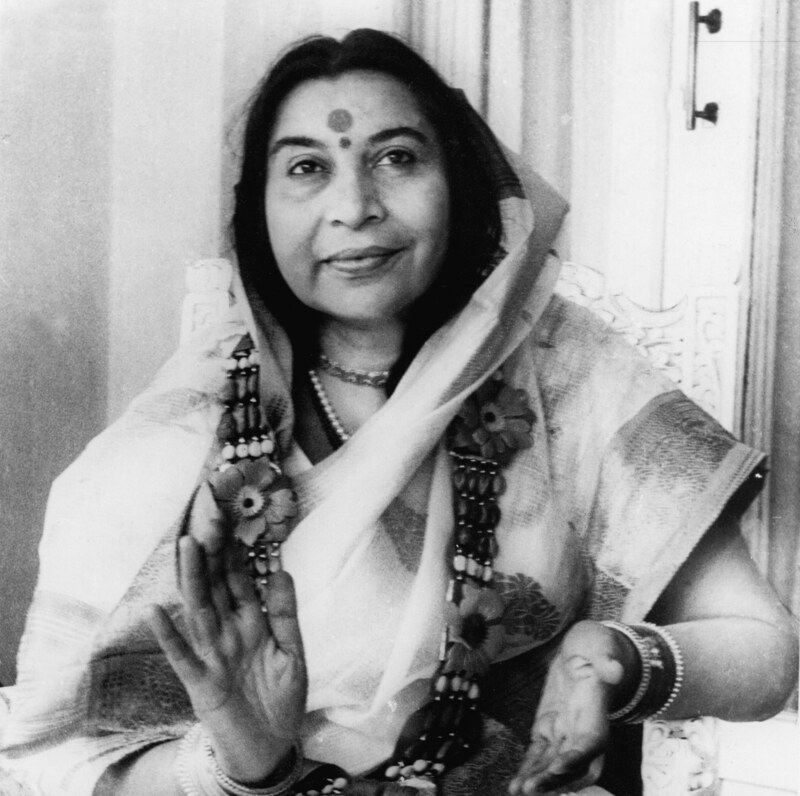 Shri Mataji came to live in London in 1974, and ran meetings personally for many years. Since then free weekly meditation meetings have been running continuously all over the UK and in many other countries. She gave hundreds of lectures, both in public and to gatherings of experienced Yogis, explaining how to utilise this inner energy to purify ourselves and grow from tiny seeds into mighty trees of spiritual knowledge spreading love to all around us. Meditation meetings, seminars, workshops and day retreats are available in London, throughout the UK and world-wide. There is never any charge for Sahaja Yoga instruction or for Self-realisation which is the birthright of every human being. Why not drop in, try it for yourself and see whether this is what you are looking for. Everyone is welcome of any age or background. Free Meditation Centres in London. Anerley, Balham, Chelsea, Covent Garden, Ealing, Fulham, Greenwich, Hackney, Harrow, Hounslow, Leytonstone, Streatham, Swiss Cottage, Walthamstow. Most meetings are in the evening and run from 7.30 – 9.30 pm.